Lotus were the team hitting the headlines this weekend. Kimi kicked it all off by refusing to attend the regular Thursday press appointments the team arrange for him. Of course this followed the public spat on team radio last from the Indian GP weekend, where an expletive was directed at Kimi – to which he took exception. Raikkonen had suffered some criticism for his on track behaviour in India, where most analysts suggest he made a pointless and obvious defence of his position against his team mate. Mikka Hakkanen was a lonely voice suggesting Kimi took the racing line to keep his tyres up to temperature. Of course Kimi had all his fans reaching for the Kleenex when he revealed he’d been paid not a ‘single euro’ this year by the team, and threatened to not race in Austin or Brazil if the team failed to honour an agreement reached which saw him choose to race in Abu Dhabi. The media discussion over this matter was confusing. Some appeared to suggest this kind of arrangement was becoming more normative – where the team paid certain drivers at the end of the year when the prize money was granted by Mr. E.
Kimi again is on a remuneration deal that is weighted towards the number of points he scores. His basic salary/retainer in 2012 was reputedly between 4-5m euros, though the BBC report he renegotiated this for 2013 for a higher basic of 8m euros and smaller ‘bonus’. Suffice to say, it is Kimi’s salary that is outstanding at this point – his bonus would only ever be paid at the end of the season. Yet Kimi was paid by the Enstone team in a similar manner in 2012 and he has no reason to believe they will be breach of contract and not pay him for 2013. 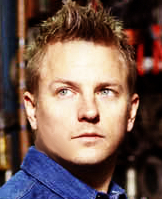 Rightly or wrongly, following the radio message exchange in India Kimi decided to up the anti over his pay. This topic is not new in the public domain, Lotus team boss Eric Boullier said to the BBC during the Singapore GP, “The truth is, yes, we owe him money. He is going to be paid. Last year it was the same. We owed him some money and he got paid in full at the end of the year. An interesting side effect of Kimi’s tantrum is that Quantum Motorsports have been handed a PR opportunity. Quantum chairman Mansoor Ijaz was quick to speak with the BBC stating, “There is no question the deal is definitely happening. It has now been completed from our side. Our deal is to buy 35% in newly-issued shares. We are essentially diluting Genii Capital. The options do allow us in a fixed amount of time to take control of the team later on. This is slightly disingenuous because the deal has been ‘done’ from Mansoor Ijaz and Quantum’s perspective for some time, it is Lotus who have been uncomfortable with some of the terms. Lopez said back in August the matter was with Genii to move forward with, and yet the team have since heavily courted Renault – both publicly and intensively behind the scenes. TJ13 believes it is the case that investment/ownership deals with Renault or Quantum are mutually exclusive as Quantum wish to assume control of the team in the long term. Lopez has been fairly transparent over the financial structures of the Lotus team. He told AMuS in August, “We continue to look for partners to join the team. First of all, I want to ensure that the team continues to be well-funded. Whether [Genii] gets the money back now or later, we have to see. It’s not about getting money back quickly now. [The total debt] is €120m, but four-fifths of it we owe to ourselves, to Genii, because we do not sponsor the team but finance it through loans. We shall see how desperate Genii/Lotus are this week. TJ13 believes Genii are determined to get the terms and value they believe they have risked much for. Mansoor Ijaz is at present making cheap political capital on the Lotus team’s very public fallout with Kimi Raikkonen. i do worry a lot about Hulk if he goes there...and if they did not firmly name Kimi as no1 will they name Hulk? It's hard to say if hulk fully deserves to be #1. He has a great reputation when compared to his teammates, and thus many people feel he has an extremely promising future. But this argument is exactly what some internet critics use when saying Vettel isn't an all time great. They reference he is up against a 'weak' teammate, and thus we don't know what another WDC could do in the same car (I.e. Alonso). We do know that Kimi has clearly out scored Romain for two seasons straight. Even with development going away from Kimi (long wheel base car) and the team readying for life after Kimi (now that he's going to Ferrari), he is still scoring close to romain in that short stint of races. But outside of that, Romain has been demolished by Kimi. I think Lotus are trying to portray Gro in such a positive light in order to show they have a future talent to potential investors. If hulk is announced as their second driver, then I think Lotus will soften their stance on Gro and you'll hear more about "we will let them race." In essence, they will start on equal terms and points will dictate who earns the #1 status. TJ13 reported back in June the dubious history of Mansoor Ijaz, yet it appears Formula 1 in the form of Lotus is about to embrace another influential character of disrepute. Ijaz seized the opportunity presented to him in Abu Dhabi when Kimi went public with his “I’ve not been paid a euro” sob story. He claimed to have smoothed troubled waters with Kimi and his manager – amazing seeing as Quantum are nothing to do with the team yet. For smoothing troubled waters, read, made some promises that may of may not be fulfilled depending on whether Ijaz get Genii to bow to their demands. So Lotus are about to receive unfathomable riches from the depths of the Sultan of Brunei’s treasure chest, and yet they’ve been talking to Pastor Maldonado – who we all know would only be preferred to Hulkenberg if his stash of oil dollars were necessary. Genii are not comfortable with Quantum’s proposal, and Mansoor Ijaz has demonstrated this weekend exactly why Gerard Lopez has to date been cautious in pursuing their offers. TS wrote yesterday evening, nothing has changed, Kimi hadnt got anything till the evening and is still saying if the plan isnt going to work, he will not show up in Austin. Robertsons and Kimi doesnt trust in Lotus or Quantum at all. Good for them, why should they trust them. I'm mad, I tell you why. We have a weekly F1 show in Latin America, usually is just about the Spanish speaking drivers but they talk about the others on ocasions. Rarely speak of Kimi and they never interview him. Our commentators are very capable and very fair, they admire Kimi as a driver but as a person they think he is as everybody says he is. Email him and ask him if he'd be happy if he'd not been paid One something of Guatemalan currency to date and has been reporting all year.. There are a lot of people who is taking sides against Kimi in this matter, but in truth they are not looking at the whole picture. For example that Boullier said just 4 weeks ago that Kimi's salary was fully paid up. Clearly they were straight forwardly lying to the public. They have been deceitful about the matter. They also made marketing videos which cost them millions. They didn't even make part payments, so they dont really they have much of an excuse. Kimi took a calculated risk to reveal the whole money issue, I think he knew what the reactions would be. I think the confession might pay off more in the future, but for now we are getting mixed results. You cant please everyone. I would be happy if I dont hear to much about this drama for the next few races. We are still not seeing any official announcements. Lotus F1 Team can confirm that Kimi Räikkönen will miss the final two races of the 2013 Formula 1 season to undergo, and recover from, back surgery. The team will make an announcement about the replacement driver for the United States and Brazilian Grands Prix in due course. This is slightly hilarious, it seems like Al Manhal International Group is actually a Pizzeria.